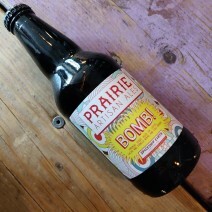 Bomb! is an imperial stout aged on Nordaggio's espresso beans, chocolate, vanilla beans, and ancho chile peppers. All the flavors meld to create a truly unique beer. The peppers add just the right amount of heat to complement the intense coffee and chocolate flavors.